When I would tell friends or family to visit Lviv, they would recoil in shock at the mere mention of Ukraine. They could hardly believe I had been brazen enough to visit that ill-fated land. I told them Lviv was different from stereotypical Ukraine, it had more cultural and historical connections with Mitteleuropa than Moscow. It was the furthest eastern extent of the Renaissance, the old Polish Kingdom and Austria-Hungary. It was a new and different Ukraine, one filled with hope and possibility, leaning towards the west. Of course, I said all this in the knowledge that my advocacy for Lviv was falling on deaf ears. The city could not escape Ukraine and its dangerous reputation or so I thought. In the fall of 2015 I found out the meaning of be careful what you wish for because you just might get it. I said everybody should see Lviv and it this wish had been granted. Lviv was packed with tourists on the weekend of my arrival in the latter part of October, not a time usually known for heavy visitation. At certain points in the Old Town I was standing elbow to elbow in crowds. I heard as much Polish as Ukrainian being spoken. The cafes and coffee houses had a refined, sleek veneer. The cobblestone streets and sidewalks were pristine, some of the trams looked as though they had been transported from the space age and the smart, immaculately kept shops could just as easily have been in France or Germany rather than Ukraine. Lviv had been “discovered”. To find any hint that only twenty-five years before Lviv had been part of the Soviet Union, I would have had to flee the city center. 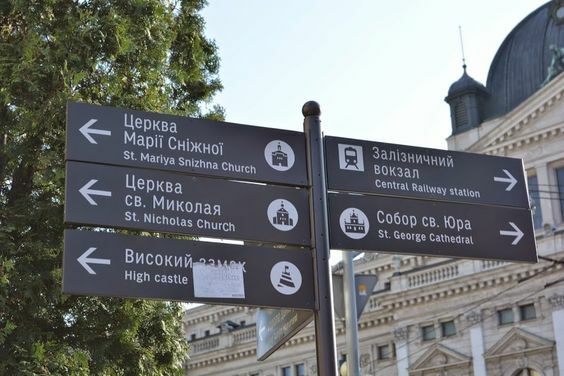 Most tourist establishments used Latin as well as Cyrillic script in their signage now. Lviv’s Old Town looked so smart, tidy and trendy that I wondered if it had ever or never looked this way. Lviv was managing to charm the masses with a reinterpretation of itself. The Lviv I first visited in 2011 had yet to realize its full tourist potential. 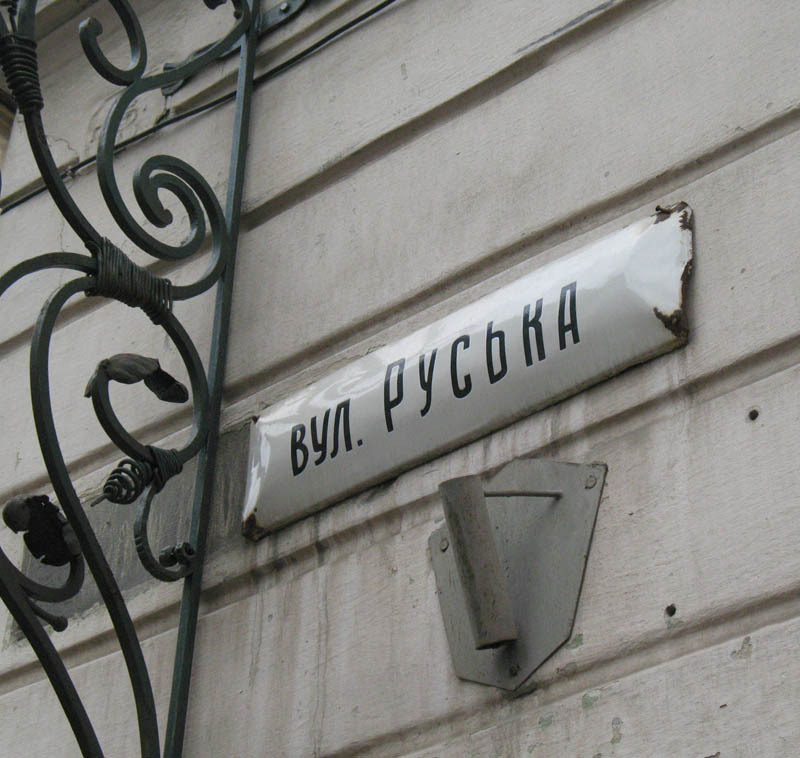 Outside of the Old Town, signage in Latin script or written in English was scarce in the extreme. The amount of English spoken was even rarer. The Old Town at that time was evocative rather than electric. The range of accommodation on offer was limited, with few good hostels. Tourist information in English could be found, but only after searching. Except for the locals, I felt as though I had the city to myself back then. Mass tourism was a thing of the future. 2011 was a time when I could stroll the narrow streets, four years later I would jostle my way through them. I could hardly blame Lviv for this transformation, it was cultivating Old World charm in a bid to boost its economy. A reminder of this came blaringly loud at strange intervals, as a trumpet played a few notes that seemed to signify some sort of medieval sounding call. I had heard much the same thing in Krakow four years earlier, Lviv was becoming more like its bigger, more well-known Galician sister city. In the interim, Lviv had inadvertently managed to gain from the instability in Kiev and unrest in the eastern part of Ukraine that started with Maiden. Through no fault of its own, Lviv was some 1,200 hundred kilometers away from the violence consuming parts of the Donbas region. This made Lviv one of the safest places to live, invest or visit in Ukraine. When the Hryvnia (Ukraine’s currency) plummeted in the wake of Maidan, Lviv became one of the best values for domestic and foreign tourists. Domestic tourists could no longer afford to go abroad, so instead they traveled to the most European city in Ukraine which also happened to call itself the most Ukrainian. The weekend of my arrival there was a living history reenactment of the street fighting which occurred during the 1918 Battle of Lemberg (Lviv’s Austrian name) following World War I. The reenactment took place in Rynok Square which was packed with Ukrainian and Polish tourists looking on. It was strange watching a battle reenactment in a country that was currently at war. It was stranger still that Ukrainians and Poles stood side by side watching. Once blood enemies, they were now united in their fear of a resurgent Russia or quite possibly they were just looking to be entertained while on holiday. Tourism and marketing had brought hundreds of people into Rynok Square that day. City leaders are hoping to lure tens of thousands more to follow in their footsteps. As much as I selfishly would like Lviv to be the way I found it in 2011, there is little hope of that. The same year of my last visit – 2015 – the city hosted two million visitors for the first time ever. Such increases led to the creation of 30,000 jobs in the tourism sector over the last several years. With much faster rail links to Krakow and Kiev, the tourist numbers are only going to increase. My memory of that first visit to an uncrowded Lviv is still vivid, wandering around a spacious Rynok Square, the churches empty except for the locals and restaurants hoping for a few more patrons. That moment is now as much history as anything else in Lviv. I had been fortunate to visit the city before millions of tourists smoothed the cobbled streets with their foot traffic. Yet my perspective has become skewed by a selfish desire to want Lviv all to myself. If I am honest, I was just as much a part of the increase in tourist numbers as the masses I profess to loathe. By the time I arrived in Lviv, it had been transformed from a crumbling, neglected Ukrainian provincial city, to a vibrant Old World beauty. A city that millions would come to visit, just as I did. My “discovery” of Lviv was like learning a secret, only to later learn that it’s been passed around. In the imagination, Old Lviv was as an ideal city of quaint cobblestone streets, spectacular Renaissance architecture, ornately decorated churches and brightly colored tenement houses, a place of devotion, wealth and tradition. The city walls proscribed the boundaries of a tidy burg infused with charm and grandeur. To be sure there was some of that, but Old Lviv was also a place of inborn prejudices, rigid social hierarchies and segregated living spaces. Where the haves held all the power, while the have nots had very limited freedom. Intolerance was a way of life. The threat of death was constant, either at the hands of invaders – Lviv suffered numerous sieges – or more likely, due to disease. In comparison to the present day, this was a dangerous world. Life was short and precarious. Then there was the law, which was marked by rigidity, tradition and penal in the extreme. Torture was often used to extract confessions. Verdicts were harsh and the punishment even worse. For those who failed to obey the status quo, justice could be swift and severe. This was not a world for the sentimental or romantic. Even falling in love could bring the cruelest of consequences. Such a case of fatal romantic bliss occurred in Lviv during this time. There is nothing more endearing than two people who love each other so much that they refuse to be kept apart. A couple so smitten with one another that they cannot control their passion and will sacrifice everything in the pursuit of love. Such romances seem to be a product of destiny, but they can also be ill-fated. This was the situation in late 16th century Lviv when an Armenian widower and a young Polish woman fell hopelessly in love. By today’s standards their romance would not be problematic, but according to the laws of the time they were committing mortal sin. Such a relationship was considered a crime due to their religious affiliations. This would lead to the harshest of punishments. The love affair occurred at a time when religion was as much a marker of identity as ethnicity. Though both were of the Catholic faith, practitioners of the Armenian and Polish branches of the religion were seen as incompatible. Interfaith romantic relationships or marriages were strictly forbidden. This would threaten the very fabric of society. Division was the organizing basis of Lviv’s Renaissance–era society. Paradoxically, this was what held the society together or so it was believed. Within the city walls of Old Lviv was a completely segregated society based on class, religion, ethnicity and profession. One marker of identity often informed another. For example, ethnic Germans were wealthy burghers, ethnic Poles mainly aristocrats and ethnic Armenians merchants and tradesmen. There were separate quarters for Armenians, Jews, Ruthenians (Ukrainians), while the Poles and Germans dominated Rynok Square. Everyone was supposed to know their rigidly proscribed role. This was a microcosm of central and eastern European societies prior to the Enlightenment. The two lovers, Ivashko and Zofia, were charged with committing a serious criminal offence. There was no denying the couple’s passion. It was obvious that the two were under the spell of love. What were the judges going to do? They were the guardians of social order. The couple were convicted and sentenced to death by burning. The judges of Lviv decided to make a searing example out of the couple. The ensuing verdict was to be a warning to anyone contemplating such romantic endeavors. Though they had lived and loved inside the city walls, as commoners they could not be executed within them, that dubious honor for the condemned only pertained to aristocrats. The couple would be executed atop a hill outside the city walls, a display of the harshest penal justice for everyone to see. The only solace for the two lovers is that they would be together in their final moments, chained to each other back to back, bound in death, as they were in life by their love. The fateful day arrived. The condemned were brought to the execution site. A pile of firewood had been prepared for the couple to stand upon. Each of them clutched a torch. When these were lit, the firewood would ignite. The lovers would be helping light the fire that was to consume them. There is no record of any last words between them. Despite their public humiliation and the terrible pain that was about to ensue, the couple may have found solace in each other’s company. Their greatest hope had been to consummate their love in marriage, to be together forever in life. Fate in the form of a terrible justice had intervened. They were bound together in death. The torches were lit. In a matter of moments the two were ablaze and soon dead. There has rarely been a more tragic end to a romantic affair. Despite the horrific nature of this ill-fated romance there is still much to be learned from the story. The good old days were not very good at all. Life was precarious at best and deadly at worst. The history that still stands today in the city from the Renaissance era is magnificent, but also gives a false impression of life during that time. Most of the city’s inhabitants were commoners doing their best to survive. They did not live in pastel painted, multi-story tenement houses or commission beautiful works of architecture. For the commoner, eking out a hard scrabble existence was the best they might expect. The law was against them. The justice system existed to benefit the few over the many. Keeping such a system in place meant heavy handed laws and brutal punishments. Racism, religious intolerance and economic inequality were rife. Fortunately this system eventually crumbled, but not before an innocent couple suffered an unjust and tragic fate. Today Lviv is known as much as anything for being a city of romance, a place where love affairs blossom. The citizens are free to live and free to love. This is quite the opposite of Old Lviv where there was nothing really romantic about life, especially when it came to love. Just thirty years ago most of the famous churches in Lviv were either shuttered or utilized as storage facilities. The Dominican Cathedral was a Museum of Religion and Atheism. The Armenian Cathedral housed works of sacral art, not on the walls, but in boxes. The Bernadine Church had been closed for decades and fallen into disrepair. The Church of Sts. Olga and Elizabeth was nothing more than one big Neo-Gothic warehouse where cement and chalk were stored. Meanwhile, the Saints Peter and Paul Garrison Church (Jesuit Church) had become one of the larger book depositories in the Soviet Union with over a million volumes. Today the situation is completely opposite. The churches are revered as architectural monuments that contain some of the most glorious sacral works of art in Eastern Europe. Several are part of the Ensemble of the Historic Center that has made Lviv’s Old Town a UNESCO World Heritage Site. What happened to the churches of Lviv during the Soviet era is rather disgusting. Paradoxically, it must also be said that at least the Soviet administration did not physically destroy the churches. Their neglect was largely benign with the unintentional consequence that the churches could be restored and that is exactly what has happened. On the other hand, a quarter century after the Soviet Union’s collapse Lviv has spent much of that time forgetting the Soviet era. 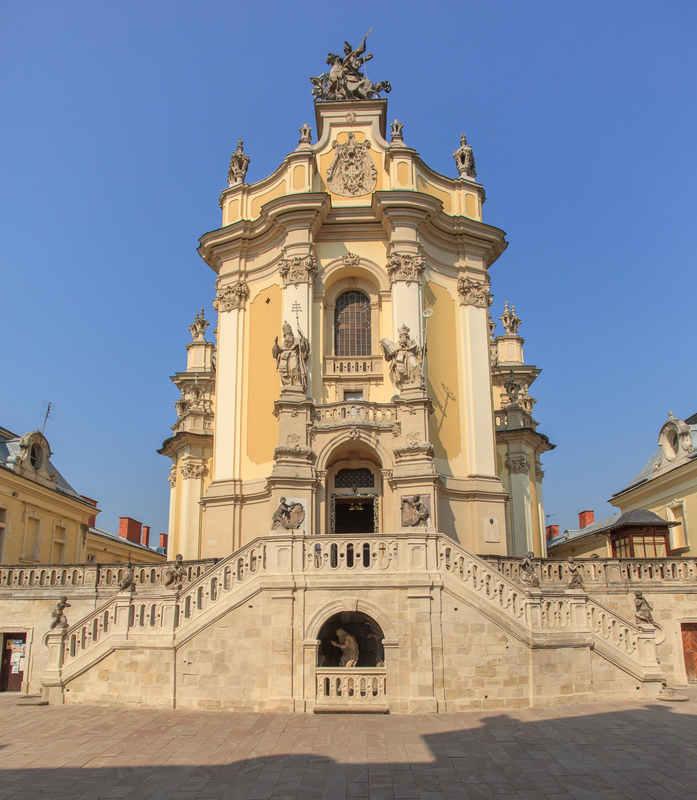 This is due to a combination of factors, including a focus by the city’s tourism bureau on promoting Lviv’s Renaissance, Baroque and Austro-Hungarian past. As well as Ukrainian nationalism and anti-Russian sentiment that has led to the city’s Soviet past being relegated to the dustbin of history. The glorification of physical culture from the Soviet era has yet to happen and will likely never occur. An interesting thought experiment is to try and imagine what Soviet era structures in Lviv might be deemed worthy of protection. The Center for Urban History of Eastern Europe, which is located in Lviv, has a website (http://www.lvivcenter.org/) that acts as a vast storehouse of information regarding the city’s architectural history. A thematic section on the site called “Socialist Lviv” offers a list of the most notable Soviet era structures in the city. The list unfortunately does not include the city’s main bus station, a hideous structure that looks like a reject prop from a 1960’s science fiction B-movie. The list has a total of 31 different buildings and monuments. A handful of these no longer exist, such as the Monument to the Stalin Constitution. In 1940, during the first Soviet Occupation it was placed at an intersection of several streets with the city’s commercial center, what is today Svobody Prospekt. The Nazis destroyed the monument after their arrival in Lviv a year later. The Soviets got there chance to build many other monuments after they swept the Nazis out of the city a few years later. Of course, many of these idolized their victory in the so-called “Great Patriotic War.” The list includes the “Monument to the War Glory of the Soviet Army”, the “Monument to the Tank Soldier” and the “Monument to Doctors Who Died in World War II.” There is nothing clever about the names for Soviet war monuments. They reflect the system itself, blunt and brutal, always in your face, leaving no doubt as to what they are meant to convey. At least the names are memorable, if not the sculpture, which like much of Soviet architecture is entirely forgettable. The Soviet era architecture built in Lviv was less about a building’s aesthetics and more about its utilization. How could it be otherwise? Such terminology as industrial Soviet modernism, monumental modernism and late Soviet modernism do not lend themselves to the imagination. The buildings represented a new world, which at least aesthetically, was certainly a lesser one. Even the names were cringe worthy. For instance, a building constructed as a prototype for the majestically named 700th Anniversary Street was named the Regional Statistics Department. The name was about as inviting as the building, a nine story vertical structure placed atop a two story horizontal one, with each building placed at right angles to the other. It was built with those rare aficionados of slab concrete, rigidity and functionalism in mind. It is not memorable, but it is still standing. An ensemble of like styled structures was planned for 700th Anniversary Street. After only a few were built the project mercifully ended. 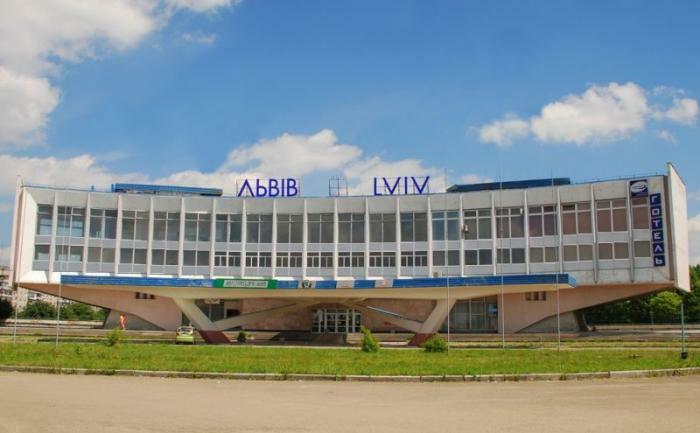 The list of structures for “Socialist Lviv” contains no less than six cinemas. These were important for propaganda. As the decades passed and Soviet rule relaxed, they became a favored form of entertainment. Surely, the movies shown inside were more interesting than the architecture which had nothing in particular to recommend it. Movies could entertain or educate. It is the latter which was communism’s greatest achievement. Mass education is one of the Soviet era’s longest lasting legacies. 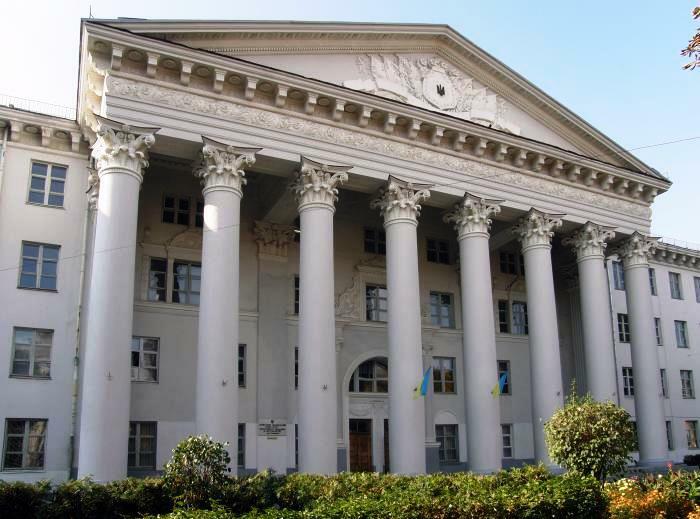 Perhaps this is why there are three buildings from Lviv Polytechnical National University on the list. It was not so much that they were built to last, as they were built to be used. They are still in use today by thousands of students. Only an architecture buff would find these buildings of passing interest. The important idea behind them is that they have helped provide students with a first class education. During the time of the Austro-Hungarian Empire and Second Polish Republic, Lviv had thousands of illiterate and uneducated citizens. The Soviets rectified this problem, but the system exacted a dreadful toll on the people. Speaking of dreadful the use of the word Stalin, Stalinist or Stalinism usually has horrifying connotations. Ironically the one building from Soviet-era Lviv worth seeing is done up in the style of Stalinist Neoclassicism. This is the Veterinary Medicine Academy Main Building found on Pekarska Street. Though the building is only three stories high it dominates the immediate surroundings. This is mainly due to its columned portico, which has more in common stylistically with ancient Greece or Rome. The Soviets and especially Stalin were unable to defeat Western Civilization. Instead they stole from it. Unfortunately theft ends up debasing rather than sustaining a civilization. This speaks volumes about the Soviet system’s ideals and mind numbing architectural achievements. 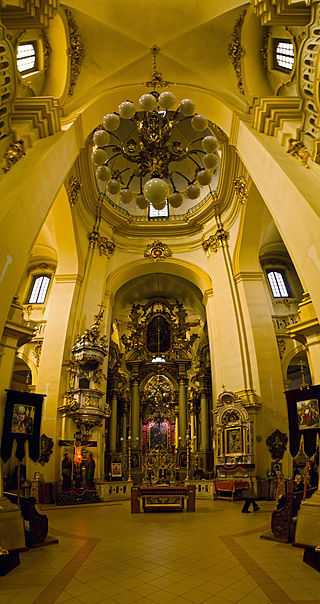 During each of my three visits to Lviv, I have found myself at St. George’s Cathedral. One would imagine that by this point the cathedral would have exhausted my curiosity. On the contrary, I am planning to go there again on my next visit. The more I have read about the church, the more fascinated I have become with its architectural and spiritual importance, both to the Ukrainian nation and to the individual. It is more than a church, it is a national shrine, but it also works on the deepest of personal levels. I became intimately aware of the latter during my first visit to the Cathedral in 2011. 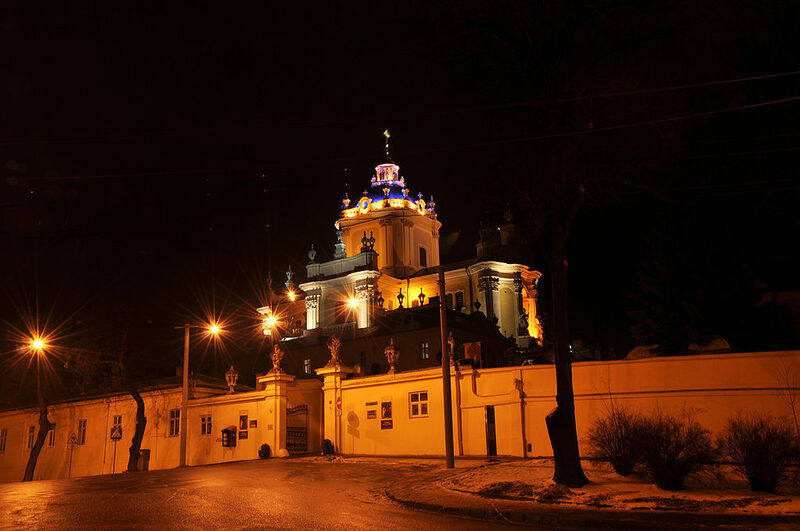 There are three famous hills in Lviv, each known for being the site of a memorable building. As the city was set out along the Poltva River valley, these hills flanked that valley. The most well-known of these was a hill on the eastern side of the river that was once the setting of High Castle, the princely residence and fortification which towered over medieval Lviv. Today there are only scant ruins and faint traces in the earth where the castle once stood. On the western side of the river valley, the Austrian Habsburg rulers built a fortification known as the Citadel in the mid-19th century. This site would later become infamous for its role during World War II as the scene of an internment camp where as many as 100,000 Soviet prisoners of war starved to death. Today one of the Citadel buildings houses a luxury hotel, while the others are derelict. Not too far away from the Citadel stands St. George’s Hill. This prominence is home to the most important Ukrainian structure in the city, St. George’s Cathedral. It was once the administrative and still is the spiritual home of the Ukrainian Greek Catholic Church. The cathedral is a bastion of the Ukrainian nation and one of the premier architectural wonders in Lviv. It stands above much of the city, on a 321 meter high hill. The cathedral’s placement on this hill has made it a prominent symbol of the enduring faith of the Ukrainian people who call this land and its most famous city home. Making my way up St. George’s Hill and to the cathedral for the first time was not very simple. It was a good twenty minute walk from Lviv’s Old Town, a fair distance away from the city’s main attractions. The church was built far outside the old medieval city walls. Despite being an outlier, the cathedral was placed in a prominent spot, atop one of the highest hills in the city. Its lack of protection, distance from the city and strategic setting meant it would become a target in wartime. This led to the first church on the site being destroyed by Polish forces in 1340. When I first walked up St. George’s Hill I did not immediately recognize its prime position. The city has grown up around it, so much that the surrounding development serves as a distraction from its unique hilltop setting. Only when I made the final ascent to the Cathedral did I realize that St. George’s was at the pinnacle of a hill. I entered the complex through a gate displaying allegorical figures from the Greek and Roman Catholic Churches. It immediately became apparent that St. George’s was only one of the architectural wonders located on the site. An ensemble of buildings stood before me. These included the Metropolitan’s Palace, where no less a personage than Pope John Paul II stayed in 2001, along with the Curia, which houses the administration and a monastery. The complex also contains a garden and bell tower. Due to its golden dome, eye popping yellow exterior and rococo architecture, I sensed a festive aura. As I got closer this changed to a more serious and subdued feeling. Above the entrance I noticed a sculpture of St. George slaying the legendary dragon. Flanking either side of the portal were sculptures of Saints Leo – the namesake of Lviv – and Athanasius – the great champion of Catholic belief. This was an inkling of the reverential symbolism to come. Entering the church, my senses were overwhelmed by the smell of burning incense. I was astonished by the charismatic nature of the interior’s iconography. Spending my formative years in the dour and comparatively austere Presbyterian Church did not prepare me for the sensuality of spiritualism that pervades Uniate churches, such as St. George’s. The rituals, the allegorical meanings inscribed on the altar, the devotion etched on the expressive faces of the many women who filled the church on this weekday morning was astonishing. Everything in the Cathedral was meant to reveal deeper meanings, from its design in the shape of a Greek Cross, to the four-tiered iconostasis and the wonder working icon of the Virgin Mary covered in silver plating, St. George’s lends itself to greater contemplation and meditation. One could not help but feel reverential. Here was the architecture of belief. A deep and penetrating stillness overwhelmed me. I felt that my role here was as an observer, documenting in my memory this shattering sensory experience. My idea of a church had always been as a house of worship, nothing more and nothing less. Yet the magnetic symbolism of St. George’s gave me a new and mind altering perspective, a spiritual formulation of something deep in the human soul. The church was eternal and timeless, like life itself. Each time I have returned to St. George’s Cathedral a sense of peacefulness takes hold of me as soon as that architectural ensemble comes into view. On top of a hill, overlooking a shimmering city, in a beaming cathedral, that is where the eternal lives on. For me St. George’s has become more than a cathedral. It is an architectural representation of a feeling, a deep and abiding sense of faith, a faith that can be found not so much in religion, but in the spiritual experience of being human.